Ok, I need to start off by explaining my history with Shinee. They were my very first K-pop group! They were actually the first people I ever heard speaking the Korean language. See, in September 2010 I had a nasty fall and broke some bones which required me to be bedridden for over a month. I was really depressed, and for some reason all I wanted to do was watch dance clips on Youtube...I guess just wishing I could get up and dance. One day, I was searching for hip-hop dance routines and stumbled on Shinee's 'Replay.' I loved it, looked it up, thought they were adorable, and pretty much devoured every Shinee related video I could find! It was through watching their episodes of 'Hello Baby' that I first became interested in Seoul and Korean culture. 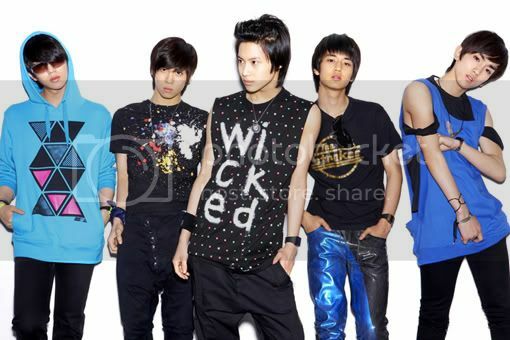 Therefore, Shinee will always have a special place in my heart no other group can fill! The boys already had really successful comeback earlier this year with 'View' (which was AMAZING) and are now continuing their success with the upbeat and super fun 'Married to the Music.' Honestly, I don't care much for the MV *runs and hides. * It's interesting and bizarre, but just a little too out there for me. I found it distracting from the song. On the other hand, I LOVE the live stages! Who am I playing, they still look young lol. The look on the left is based on Taemin's with the burgundy blazer over the graphic tee. I could never wear such destroyed denim, so some rips in the knees are the best I can do lol. Don't forget the striped headband! The boys were super into the Moschino Looney Tunes line this comeback, so I included the Sylvester hoody. Instead of Key's Bugs Bunny jersey, though, I opted for a cute cropped Moschino jersey under the black blazer. The black lace dress is based on the woman in the video (Madame Music? lol) who kept stealing their body parts. Reference the creepy music video with little details like the eyeball bag, bat necklace, and lip earrings. Now for something a little lovelier! B1A4 is also one of my forever favorites: they were the very first group I saw live in concert and I've adored their cute quirky style from the start. I was soooooo excited about their comeback, you guys! 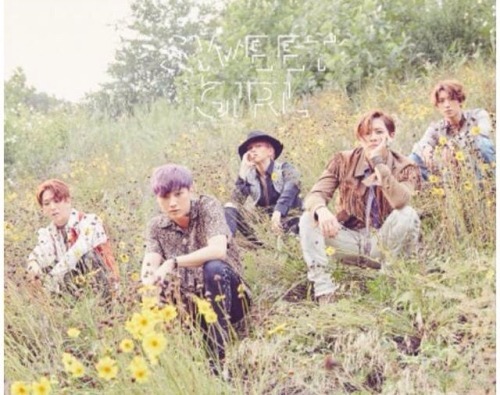 The song 'Sweet Girl' is very calm and romantic with a little bit of funk. To channel CNU's look, rock a fringed suede jacket over denim. I loved Jinyoung's leopard outfit too with the gold tassel necklace: on the left I girlified it. I mean.,.how is he real? 쩔어. I love their sound and I love their outfits--the transition between the extreme swag and "normal" clothes. I wasn't even sure what was going on with some of their outfits. which I'm totally fine with. Only GD would wear a bejeweled mustard velvet bathrobe in public and make it look good. Other choices showed their style off well--I loved GD's lip print shirt and red aviators. Sorry I didn't include the track suits kkkk. What did you think of the track and the MV? Are you happy to see GD and TOP do another collab? It's been ages! Bigbang has been super busy this summer too. What's your favorite single Bigbang dropped this year? ^^ I'm finally caught up on the style front! Feel free to comment with requests for looks from MVs I missed.